Sheats Goldstein Residence: Interview with James Goldstein | Shelby White - The blog of artist, visual designer and entrepreneur Shelby White. John Lautner was one of the greatest architects. He designed this home back in the 70s in the hills outside of Los Angeles and eventually James Goldstein purchased it from the original owner. 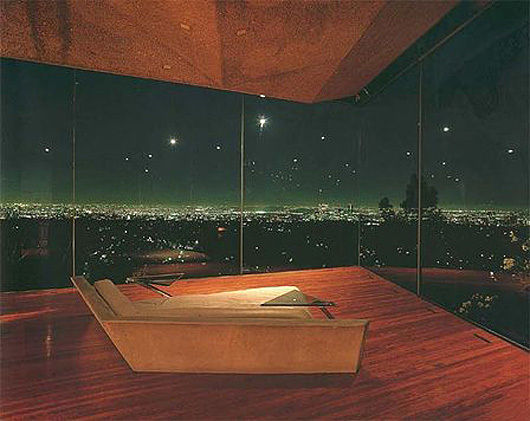 This glass walled home in the Hollywood Hills has been used many times in photoshoots and in movies. To live in this home would be extraordinary. View more images of this house or of Lautner’s work. I’ve definitely seen that house before. I’m fairly certain it is featured in The Big Lewbowski. He purchased an amazing house. Great Post.